Our passion is providing professional development experiences that enhance interpersonal communication and further your business. 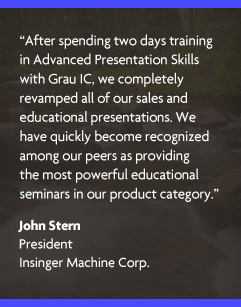 Whether polishing existing skills or removing barriers that impede success, Grau IC is your communication solution. The team at Grau IC understands the connection between skillful speaking and leadership, influence, knowledge transfer and organizational change. We recognize the relationship between committed listening, trust, innovation, understanding and motivation. We've experienced the powerful results of effectively managed conflict, enabling problem solving, flexibility, collaboration and productivity. 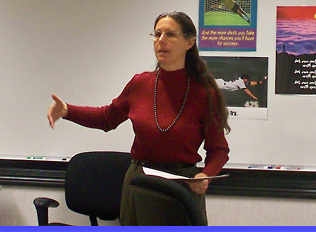 We specialize in linking communication behavior with business outcomes. By equipping your workforce with a wide range of speaking, listening and conflict management skills Grau IC enhances employees' sense of purpose and value to the organization, while optimizing productivity.